Abductive reasoning, which emerges in order to resolve doubt, is a special form of creative reasoning that is often ignored and/or dismissed in the classroom. Who doesn’t want an A in school? School based learning is motivated by the fear of punishment for not learning (e.g. low grades, guilt, social ridicule). Creativity may seem counter-productive to this rather extrinsically motivated kind of learning. If someone wants to get a good grade from a teacher, why risk the grade by deviating from what is expected? Indeed, in their 2013 paper in Roeper Review, James C. Kaufman and Ronald A. Beghetto acknowledge the importance of teaching kids when and when not to be creative. However, Ronald A. Beghetto and James B. Schreiber argue in their recent book chapter in Creativity and Giftedness that within the process of personally meaningful learning, creative reasoning is crucial to happen at some point. According to the authors, this creative learning process starts with students attempting to make sense of a new experience – discrepant to what they already know. Students who encounter such a discrepant event move into a state of genuine doubt. If this doubt is not ignored by the student, it naturally wants to be resolved and eliminated. In line with the latter, Ronald A. Beghetto and James B. Schreiber argue that doubt may serve as a motivational trigger for creativity in support of learning. They argue that this creative process represents a special form of reasoning called abductive reasoning, which in turn may result in creative resolution of doubt and the development of a new and personally meaningful understanding. Omen: A portion of the problem may point to a possible way to solve the problem. Hunch: A more implicit form of the omen. Both are rather tentative forms of reasoning. Symptom: A feature of the problem may resemble to a more general case. This form of reasoning is based on one’s prior experiences. Metaphor/Analogy: A feature of the problem which is manipulated into resemblance to create a new way of thinking. Clue: A feature of the problem may resemble to a past state of affairs. Diagnosis/Scenario: The combination of individual observations into a more coherent scenario by developing possible rules or strategies in order to solve a problem. Explanation: The development of a general rule to solve a problem. These forms of abductive reasoning and with them creative processes in learning are often ignored and dismissed by practitioners in schools. Enduring predetermined paths of learning prevent an abductive process and opportunities for cultivating creativity in learning are missed. As Rex Jung has argued in his paper in Frontiers of Psychology, there are different types of problem solving – but abductive reasoning is crucial in the process of solving problems that have never been encountered before. Therefore, let’s think about how and when moments for doubt should be allowed to blossom and creative processes in students can be fostered. Why Is It Harder Than Ever To Get Into Ivy League Schools? Luise Schlindwein is a German student at the Radboud University in Nijmegen, the Netherlands. She obtained her Bachelor's degree in Psychology. 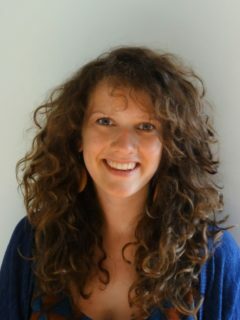 Currently, she is completing her Master's degree in Behavioral Science on the inspiration to create and works as a web editor for bitescience.com. Among other things, she investigated the impact of implementing Constructive Journalism in news for children and worked as an intern at the Imagination Institute, University of Pennsylvania in Philadelphia. She is passionately curious about creativity, inspiration and happiness within the field of Positive Psychology.